They are found in thick bunches growing in damp, shady wooded areas. This has a small, white to pink flowers with pink veins and five petals. There is one flower per stalk. 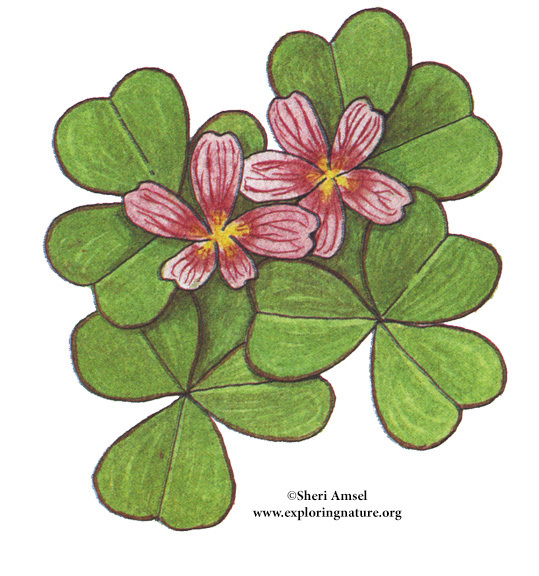 It has clover-like leaves that are attached at the base. They bloom May through July. Use Teacher Login to show answer keys or other teacher-only items.